To keep your writing as clear and concise as possible, you should generally try to remove unnecessary words. Sometimes duplication is fine – for artistic effect, for example – but as a general rule, it’s best to say things in as few words as possible. Unnecessary words often creep in when using acronyms. 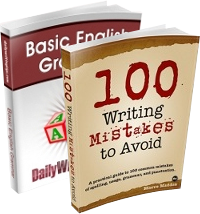 Acronyms are words formed from the initial letters of phrases, as discussed in a previous Daily Writing Tips article. Examples include “laser” (from “light amplification by the stimulated emission of radiation” and “scuba” (from “self-contained underwater breathing apparatus”). But a mistake that is often made is to repeat, unnecessarily, the last word of the original phrase. An example of this is “PIN number”. In this phrase, PIN is (most commonly) an acronym for “personal identification number”. Written out in full, “PIN number” amounts to “personal identification number number”. This might make sense – if, for example, you were discussing the number of PINs you have – but most likely it’s just nonsense. “Please enter your PIN” makes perfect sense. There are numerous other examples to be found : ATM machine, HIV virus, ISBN number, LCD display, SAT test and so forth. These are very common mistakes : search for any of them on the internet and you’ll find countless examples. Because they are so common, it’s all too easy to find yourself employing them without noticing. Using duplicate words is a mistake if the words are unnecessary. However, if omitting the duplicate word would confuse the reader, then it’s a mistake to leave it out. For example, most people outside the publishing world wouldn’t recognize the acronym “ISBN.” If you write “ISBN number,” you may be giving the reader all the information he or she needs to make sense of your topic, without having to define the term. “PIN number” is so common that I wonder if using only “PIN” would confuse some readers. Thanks for reminding us about these redundancies. I think it’s important to know your audience when deciding whether using a redundancy is a mistake. 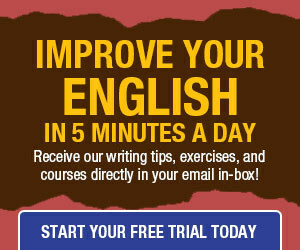 I know this post will be quite useful to me at some point (I’m an english learner). I just wanted to tell you that “SAT test” isn’t a redundancy anymore, since “SAT” doesn’t stand for anything since 2005 :). So glad you addressed this issue. I used to joke that people who spoke that way (duplicating the last word) were from the Department of Redundancy Department. ………I totally agree with Connie, above, and was ready to post almost the same comments. The last redundant word (especially when spoken) makes it easier for a listener (or reader) to get the message without the distraction of a potentially unfamiliar or unrecognizable acronym. @Connie and Roberta, I believe that making it easier for the listener does not justify writing incorrectly (and “personal identification number number is incorrect in most contexts). If that is your intent why don’t you just spell the acronym out? Apart from making it equally easier to understand it will also let the reader learn something new. @Daniel………because people don’t speak that way. We hardly every say “personal identification number (number).” We say the word “PIN.” The point of writing and speaking is to make oneself understood, and the purpose of determining whether something is correct or incorrect is to allow for a common understanding. @Astrodude………..SAT = Scholastic Aptitude Test. What happened in 2005? Oh no, Daniel. I can’t believe you wrote that. If the intellectually superior standard of communication fails to communicate, then it’s just too bad for the reader or listener? @Deborah and Roberta, I am not saying you should forget about the reader/listener. What I am saying is that you have an option that satisfies both goals (e.g., write correctly and be understood) so why not use it? You can write “Personal Identification Number (PIN)” out, and even include the acronym if you want, like I did. This will both be correct and will help the reader/listener understand. If you write “PIN number” you would be making the reader/listener understand, but at the cost of writing something that is not correct/does not make sense. It seems like the first choice is a win-win. Ah, you’ve opened a box of Pandoras with this one. While I’m not going to weigh in on “PIN number,” I will unabashedly agree with the general principle that concise writing is generally superior to un-concise writing. Here in England our children sit SATs (pronounced ‘sats’) but no one is sure what that stands for any more. Possibly Statutory Assessment Tests, Standard Attainment Tests, Standard Assessment Tasks or Standard Assessment Tests. The root of the acronym has been lost in the mists of time. Having said all that, some of our children won’t be sitting SATs this year, as half the teachers in the country are boycotting them, so maybe ‘SATs’ really does stand for nothing! This is indeed an interesting discussion! English is a quirky language that is constantly changing. What is considered “correct” one minute changes the next. If you can communicate and write “correctly” at the same time, you should. But when in doubt, always go with communicating. Simon, thanks for opening this box of Pandoras. @NEB – Thank you for the explanation. I now see my frame of reference for that acronym was limited to my part of the world! I’m in England too – and I’m pretty sure SAT stands for Standard Assessment Test, here at least. As to the wider point of using “PIN” or “PIN Number” I think, as so often, it depends on what you’re writing. In a formal document, say, “PIN Number” would be wrong. In a piece of fictional dialogue, “PIN Number” might be fine because that’s what people say. The key point, surely, is to understand why. I think that back when I took the SATs (many moons ago), it stood for “Scholastic Aptitude Test.” I think now it stands for “Standardized Achievement Test” or something similar. @thebluebird11……………..so, I’m behind the times, as well! Thanks for the enlightenment. I agree, Simon. And PIN number is particularly vexing. I also agree that if your audience will not understand an acronym such as ISBN, then don’t use just the acronym. You will have to use the full wording. Acronyms should only be used if their meaning is common knowledge, although determining that can be tricky. Considering the amount of bad writing out there, acronym tautology is easier to forgive than most. Astrodude was correct in saying that SAT does not stand for anything anymore. When the SAT was originated in the 1940s, it stood for “Scholastic Aptitude Test.” By 2005, it was determined by the Educational Testing Service (the writer and distributor of the SAT) that the term Scholastic Aptitude Test was not PC enough for these enlightened modern times. Rather than change the name of the test, they simply removed its meaning as an acronym. This also makes it more correct to call the test the sat, pronouncing it as a word rather than separate letters. But old habits can die hard. As a longtime SAT test supervisor, I am privy to such marvelous factoids. Isn’t minutiae wonderful? Personally the whole idea of “eliminating” what acronyms stand/stood for is ridiculous. Once an acronym is created, it stands for something. If the actual Scholastic Aptitude Test (SAT) is felt to be unnecessary for whatever reason, they can eliminate the test, but the acronym remains. If they are still adminstering some kind of test to assess general knowledge, they might call it something else (in this case, they first changed the name of the test to Standardized Achievement Test, which, fortuitously or perhaps purposely, also fit the acronym SAT). However, to say that they are administering these tests and that the acronym SAT no longer stands for anything, is ridiculous. If they now (hypothetically) feel like calling the test “General Knowledge Exam,” they can use the acronym GKE. If they want to call it “Students Adore Torture,” then they can continue using SAT. I have no problem if they want to CHANGE what the acronym stands for, but they can’t dis-invent (eliminate) it, nor can they change the fact that it once stood for something (else). There used to (and may still) be an online game called ACROPhobia. The game consisted of a number of rounds; in the first round, players were given 3 randomly-generated letters, in the next round 4 letters, in the next round 5 letters, and so on. In each round, each player had a limited time to submit what the acronym “stood” for. All submissions were then posted, and each player would vote on the one s/he felt was best. The winner of the round was the one with the most votes. Some very funny and creative expansions were put out there, especially with the longer letter combinations.